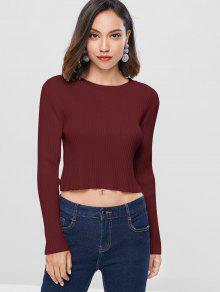 Textured in the classic rib accent, this pullover sweater looks plain but not simple with an unexpected detail with a cut-out design on the back cut in a subtle cocktail profile for a flirty touch. 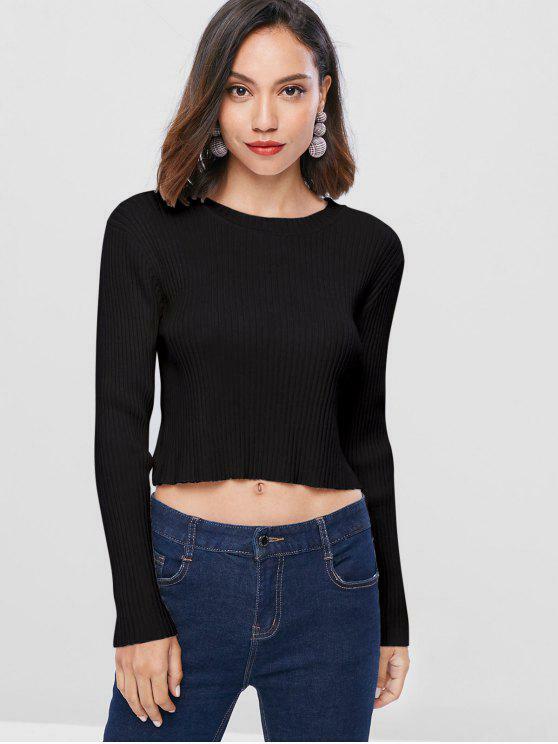 Cut in a subtly cropped ft, it is easy to pair with some high-waisted bottoms to complete a look that is just made for you. 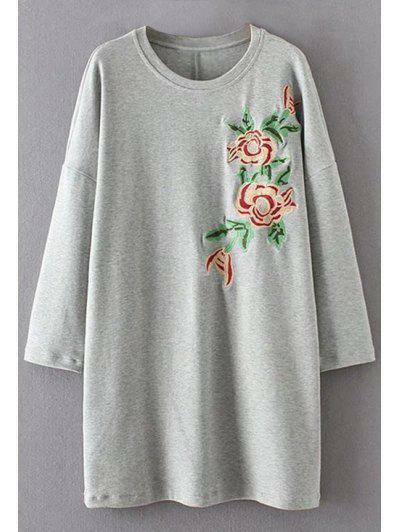 looks similar to what is shown here; very nice fabric, pleasant to wear; pretty warm too; I like the length very much and for those who enjoy showing off their waist, it is perfect! Sweater is exactly what I was looking for. Super soft and a great fit - Great quality and super fast delivery. Would definitely recommend to anyone.